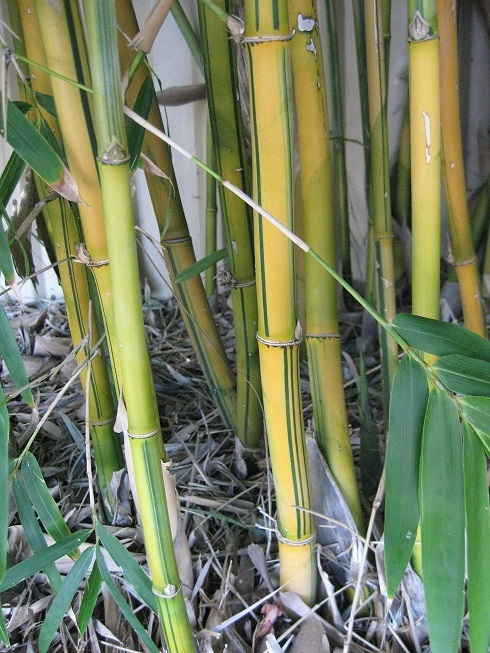 Brilliant yellow canes with green stripes, slightly thicker than other types of courtyard bamboo are the main feature of this beautiful bamboo. Leaves grow entire length of cane. China Gold is a very robust bamboo and will grow nearly anywhere, but not as cold tolerant as Alphonse Karr. The colour will vary if planted in full sun or shade. Perfect for courtyards or as a central feature, this is such a stunning bamboo due to the bright colours of the canes. 5-6 metres.